The Use of Hydraulic Fracturing for Natural Gas Extraction Does More Good Than Harm. Weighing Mechanism: Judge, when you are weighing this debate you should base it on which side betters the United States from an economic and environmental standpoint. 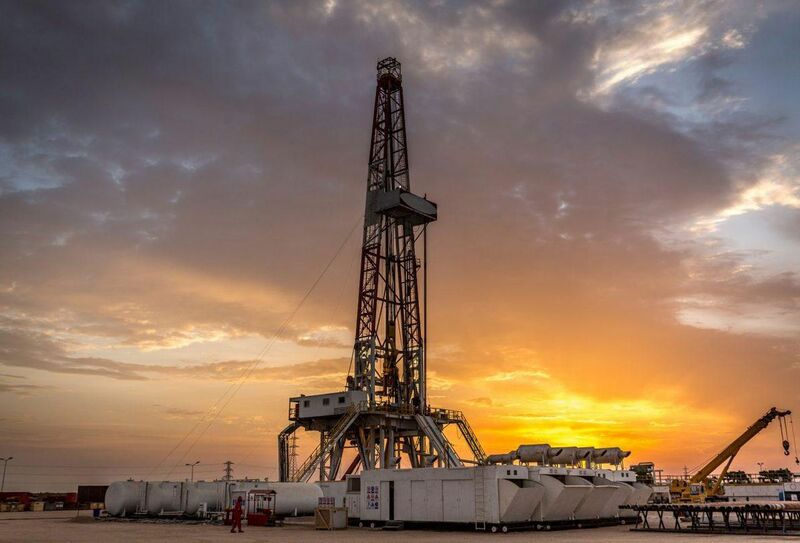 Hydraulic fracturing: Is a well stimulation process used to maximize the extraction of underground resources; including oil, natural gas, geothermal energy, and even water. The oil and gas industry uses hydraulic fracturing to enhance subsurface fracture systems to allow oil or natural gas to move more freely from the rock pores to production wells that bring the oil or gas to the surface. “It’s our experience in Pennsylvania that we have not had one case in which the fluids used to break off the gas from 5,000 to 8,000 feet underground have returned to contaminate ground water.” John Hanger, ceo of Pennfuture, an energy company, stated. “I’m not aware of any proven case where the fracking process itself has affected water.” Lisa Jackson, President Obama’s Environmental Protection Agency Administrator stated. 1. HF causes natural disasters. 2. HF contaminates drinking water. While controversy over hydraulic fracturing is new, the practice itself is not. Since 1947, hydraulic fracturing has been used to extract more than 7 billion barrels of oil and 600 trillion feet of natural gas from deep underground shale formations. Despite the fact that hydraulic fracturing has been employed for half a century at comparable depths of thousands of feet, opponents of natural gas insist that groundwater is now being contaminated. This claim, no matter how many times it is repeated, lacks substantive data to support its conclusions as both the national association of state groundwater agencies and the fracturing governmental agency representing states' oil and gas interests have found no evidence of groundwater contamination from hydraulic fracturing fluids. Additionally, to assuage concerns about the content of fracturing fluids and to increase transparency, the industry has chosen to voluntarily disclose what additives are used at each well site via the FracFocus database. Safe for 60 years we have been using. Use groundwater contamination ref. 4. Fracking has been unsafe. The truth is, fracking technology has been deployed in the U.S. for nearly 65 years, not only as a way to optimize the production of oil and natural gas, but also to the same for water wells and geothermal energy. 1. Michael Kelly, media illusion for the Southwestern Pennsylvania Environmental Health Project (SWPA-EHP) said. "There are so many unknowns about this that we're creating a mass health experiment, and it's being conducted without the consent of the people who are most likely to be hurt by it." 2. Air pollution from gas drilling in Arkansas’ Fayetteville Shale region imposed estimated public health costs of more than $10 million in 2008. 1. Fracking helps the economy. In 2008, after the innovation gave way to a surge in resources, the wellhead price of natural gas plumm11eted from nearly $8 per thousand cubic feet to $3.67 per thousand cubic feet. This increase in domestic production has kept prices low for American consumers—who get 24 percent of their electricity from natural gas—when not too long ago it was considered by some a foregone conclusion that the United States was running out of gas supplies. Additionally, the advent of shale gas has given rise to enormous economic opportunities in places like Pennsylvania, where development of the Marcellus Shale created more than 111,000 jobs in 2011 with $10 billion added to the state's economy. Fracking increases an average U.S. household income by $2,700 per year. It has injected billions into North Dakota, Pennsylvania, Texas and other state economies. It’s added $62 billion to federal and state treasuries, with that total expected to rise to $111 billion by 2020. By 2035, U.S. oil and natural gas operations could provide over $5 trillion in cumulative capital expenditures into the economy, while generating over $2.5 trillion in cumulative additional government revenues. Counties with more than 200 wells added jobs at a 7 percent annual rate over the same time period.Using the Pennsylvania data to project hydrofracking’s effect on New York counties, we find that the income of residents in the 28 New York counties above the Marcellus Shale has the potential to expand by 15 percent or more over the next four years. Shale gas should be welcomed as good for local economies. Many rural areas are extremely poor and suffering declining populations, with reduced employment opportunities as farming becomes increasingly mechanised and other industries move abroad. Through shale gas, landowners will gain lease payments from drilling companies, local workers will have new opportunities of well-paid employment, Marcellus the biggest shale field could have over 200,000 people working on it by 2020, and businesses will benefit from this new influx of money. In addition, local governments will gain from increased tax revenues, for Marcellus these were $389 million in 2009, allowing them to spend more on schools and services. And the prospect of cheap energy will encourage industry to relocate to these areas, while also holding down energy bills for local consumers. Between 2007 and 2011, per-capita income rose by 19 percent in Pennsylvania counties with more than 200 wells, by 14 percent in counties with between 20 and 200 wells, and by 12 percent in counties with fewer than 20 wells. 2. Natural gas that has been fracked is used to create electricity and is more efficient than other alternatives. In August of 2011, the U.S. Geological Survey issued a report where they lowered previous estimates of recoverable natural gas located in the Marcellus shale deposits from 410 trillion cubic feet, to 84 trillion cubic. According to the New York Times, buildings that use fracking gasses save 35% on their energy bill. Not only that, but fracking energy is greener than green energy. Fracking companies use only 0.4 acres of land to generate a year's supply of electricity for 1,000 households, whereas solar cells require 8.4 acres to fuel 1,000 households annually. According to a new study conducted by International Fracking Safety Society states that today we use up to 75% of natural gasses from fracking in our everyday lives. Also, hydraulic fracturing is more efficient, in fact 25% more efficient, than other wells used to obtain energy. Fracking will create 1.2 million new jobs by 2020. Hydraulic fracturing has created 1.7 million new direct and indirect jobs in the United States, with the total likely to rise to 3 million jobs over the next seven years, IHS Global Insight reports. A study commissioned by the U.S. Chamber of Commerce’s 21st Century Energy Institute says the extraction of “unconventional” shale oil and gas through horizontal hydraulic fracturing – or fracking – has meant a job boom even in states that don’t actually have shale deposits, with 1.7 million jobs already created and a total of 3.5 million projected by 2035. Counties with more than 200 wells added jobs at a 7 percent annual rate over the same time period. Data from the Illinois state government show that 27,954 jobs were added between 2007 and 2011, a 35.9 percent increase in jobs for the region. Average annual wages for all jobs in the region increased by 53.1 percent between 2007 and 2011.